They hustle. They struggle. It's not just New York City. It's Broad City. 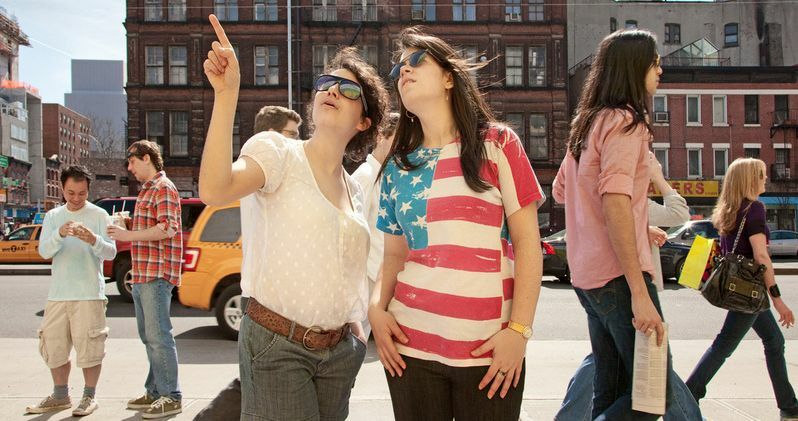 Upright Citizens Brigade alums Abbi Jacobson and Ilana Glazer bring their critically-acclaimed digital series to Comedy Central as a weekly, half-hour scripted series beginning Wednesday, January 22 at 10:30 p.m. ET/PT, following the season four premiere of Workaholics. Check out the first clip, which finds the two best friends attempting to return stolen office equipment to fund their party habit. In the premiere episode, What a Wonderful World, Abbi and Ilana will do whatever it takes to scrounge up enough cash to buy tickets to a Lil' Wayne concert. From performing in Washington Square Park to stealing office supplies, the girls exercise their DIY approach and put on the hustle to get the funds.